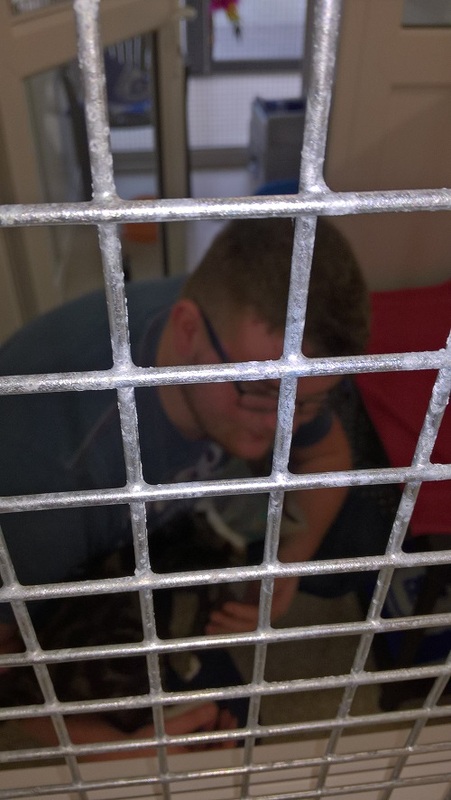 Last Friday, Business Development Manager, Ben, and Head of Business Support, Diane, spent the day volunteering at the Bury and Oldham branch of the RSPCA. All of Capita’s employees are entitled and encouraged to use 1 day a year to volunteer for a charity of their choice. In this blog, we find out about what Diane and Ben got up to on their volunteer day. “As a trustee of the Bury and Oldham RSPCA branch, it was wonderful to be able to take advantage of the Capita volunteering scheme and get involved in helping with some of the final work to get our new state of the art Animal Centre ready for the grand opening next month. Although it is already operational (7 cats and 1 dog are already residents! ), there is still a lot of work that needs to be done to finish off the non-critical tasks, such as gardening and decorating the non-public areas. Sadly, our initial team of 5 had to reduce to just 2 of us on the day, but that did not stop us from managing to complete all the tasks set aside for us. The morning was spent on some outside clearing up and getting the car park tidy (we even found an old traffic cone buried in the undergrowth) and then some painting of a store room. All to the welcome sound of woofs and meows – proof that all of the work is for that very purpose, to keep our animal friends safe and well. 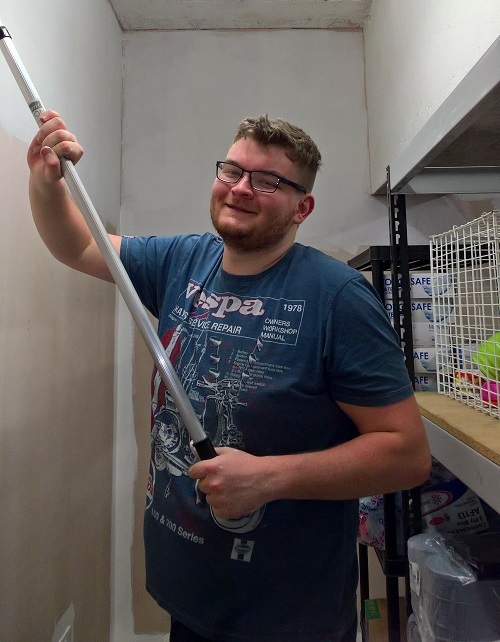 “I took advantage of Capita’s volunteering policy by using one work day to volunteer for a selected charity. My choice was the RSPCA and their new animal centre in Oldham. The centre officially opens next month and so most of the operations are still being set up. The new centre was built using the foundations of an old disused and run-down building, and the work they’ve done in such as short space of time was astonishing. Well done to Diane and Ben for taking a day out of their busy schedules to help a worthy, local cause. What’s more, this isn’t the first time that Capita TI has supported the RSPCA Bury & Oldham – last year we invited our staff’s four-legged friends into the office for our ‘bring your dog to work’ day!